Originally released in 1964 this is the debut album from Greenwich Village's strangest folk revivalists. At odds with the tired rehashing of folk tunes that was so in vogue at the time, the duo of Peter Stampfel and Steve Weber took traditional material and obliterated it. 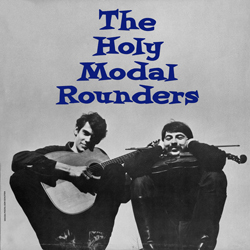 In the words of Peter Stampfel, "The Rounders were the first really bent traditional band. And the first traditionally based band that was not trying to sound like an old record." And thank God for that. Reissued on 180 gram vinyl for the debut from the 60s folk revival biggest outcasts.